CBT Training in Crewe comprises of 5 parts of a CBT. The first aspect of the day after a warm welcome from your instructor is to get your licence checked by the instructor, this is to ensure that you are legally allowed to ride the roads of the UK. You will need your UK provisional, UK full driving licence or EU licence with D9 counterpart number. Also, it's good to note that you will need to have knowledge of your national insurance number. Following this safety check you will be good to start your CBT Training in Crewe. The remainder of the day is spent with your bike, whether you have chosen to train on a manual or automatic you will need to complete all 5 parts of the CBT before being able to receive your CBT licence and be legal to ride on two wheels. Remember that you will need insurance and also of course a bike. You will be able to find CBT Training in Crewe an easy 25 minute walk from Crewe station or alternatively a 10 minute drive from the station. RideTo's partner location is found on the A532 a short 5 minute walk from the centre of town. In the final part of your CBT training that overall takes between 6-8 hours, you will be required to ride 2 hours on the road. This will be around surrounding areas of Crewe such as Leighton, Bradfield Green, Willaston, Haslington, Wybunbury and Worleston. After you succeed in your training then you can start considering insurance and getting your first bike. 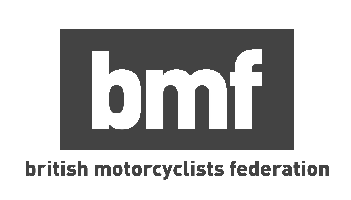 Whether you are considering purchasing a moped, scooter or 125 motorcycle or are interested in our top 10 motorcycle you can ride on a CBT licence, there are plenty of options out there. Secondly, the best advice we can give about purchasing insurance is to make sure that you shop around and consider the options. We have put together our guide on the top things you need to consider before purchasing motorcycle insurance.